T he Canadian Mental Health Association, Haliburton, Kawartha, Pine Ridge (CMHA HKPR) is pleased to announce the 3rd Annual Merrett Home Hardware “Run for Mental Health” taking place September 8, 2018 – 5:00 p.m. check in, event starts at 5:45 – at Runner’s Life – 174 Charlotte Street, Peterborough. 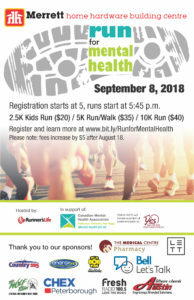 For further information on registration, please visit https://runformentalhealth.itsyourrace.com/register/ or contact Dave Dame at Runner’s Life at 705-876-8960. 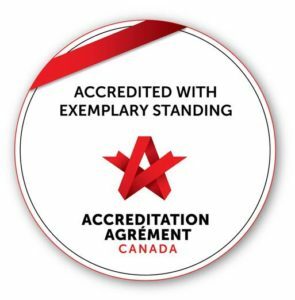 You can also contact Jack Veitch, Manager of Community Engagement and Education at 705-748-6687 extension 1015 jveitch@cmhahkpr.ca.